Most new cars will come with some form of parking aid. Whether that's reversing sensors or a parking camera, they make carrying out reversing manoeuvres incredibly simple, offering a clear view of any obstacles around your vehicle. If your car doesn't have a factory-fitted reversing camera we have some good news: there is an affordable way to retrofit this useful technology. As with most tech, it's worth spending a little more money to get a quality product, because, ultimately, a reversing camera is the only thing standing between your bumper and a steel lamp post. You can also get aftermarket parking sensors, but these require more complex installation. 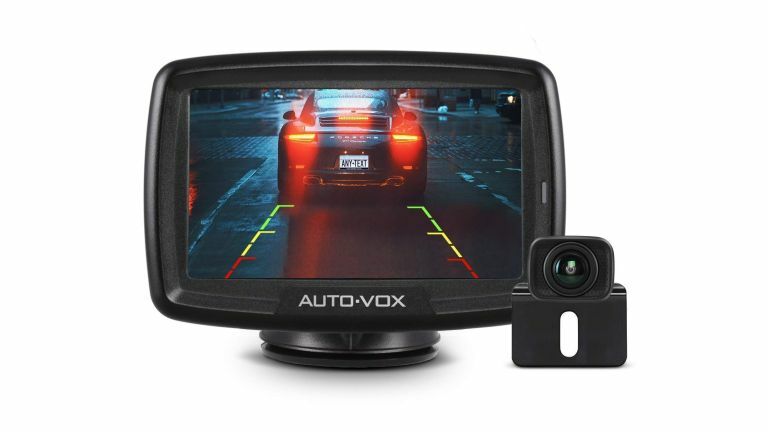 The Auto-vox CS-2 is a compact camera that clips onto your rear number plate, it then wirelessly transmits video to a 4.3-inch display in your car, which automatically powers on when you select reverse. The CS-2 differentiates itself with a transmitter built into the camera, compared to other systems which use a separate transmitter. This makes it easier and more convenient to install. If you need a little extra help, a digital parking guide can be superimposed on the image, so you know exactly when to stop reversing. The camera is also designed to capture a clear image at night, and withstand harsh temperatures and weather conditions.